Country music legend Johnny Cash performs on stage. EPA. BEVERLY HILLS, CA.- Juliens Auctions announced an auction of property from the life and career of Johnny Cash. The auction includes items from Cashs military career, through his life and partnership with June Carter Cash, into his time as a Highwayman with his friends through the end of his career. A portion of the proceeds from the auction will benefit MusiCares. Highlights in the sale are lyrics personally penned by Cash. 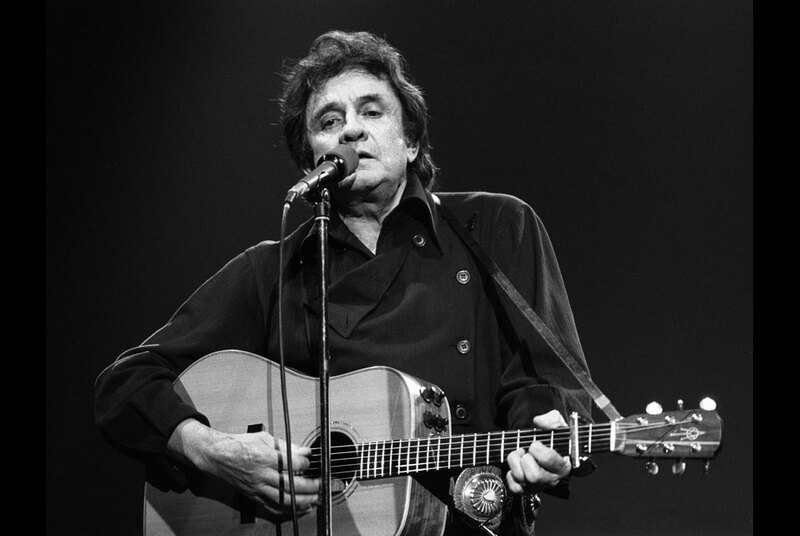 The lyrics include Cashs takes on traditional songs, an alternate version of Dont Take Your Guns To Town, (Est. $2,000/4,000) and many songs that have never been recorded. Cashs personal style can be seen among the stage worn clothing offered for sale: A pair of early stage worn pants made by Cashs mother (Est. $1,000/3,000), the jumpsuit (Est. $3,000/5,000) worn by Cash while rehearsing at San Quentin prison that was immortalized in the photograph now known simply as The Finger, Cashs bicentennial parade worn shirt (Lot 756) and other patriotic clothing pieces from the mid-1970s, knee-high boots with an elaborate eagle design on alligator leather (Est. $1,500/2,000), an iconic Man in Black cape (Est. $2,000/3,000) and accompanied by clothing lots from the love of Cashs life, June Carter Cash (Est. $800/1,200 and $2,000/4,000). Johnny Cash is known as a songwriter and performer, but this sale also sheds light on other, lesser known facets of his life as an actor, student, employer and writer. Cashs creativity shines through in his artwork, his bible study course work (Est. $800/1,200), scripts, Cashs screen worn costume from A Gunfight (Est. $2,000/3,000), working notes for songs, commercials and record endeavors, notes to and supporting his employees, letters from Presidents and his celebrity friends: Kris Kristofferson, Bruce Springsteen, Kirk Douglas and others. This is a rare offering of a lifetime of memorabilia from a true American legend, the Man in Black.